From design and copy to content research and press interviews, it was an enjoyable account to work on that was a true mixture of communications and marketing – just what we like here at KRPR HQ! 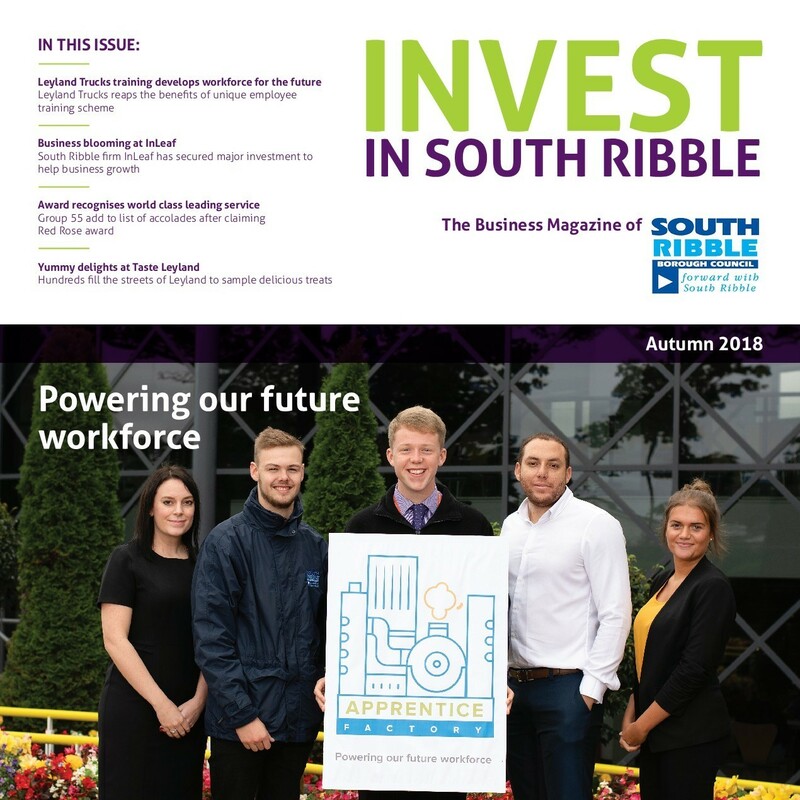 Our MD Kara Rose was delighted to be appointed following a competitive pitch, saying: “Producing the Invest in South Ribble business publication allowed the agency to go back to its roots of traditional communications and marketing; whilst supporting a council that is literally on our doorstep and meant we had a personal connection in seeing this come to fruition. Working with a borough council was nothing new for the KRPR crew which has working experience across a number of councils within the northwest from Sefton MBC, Liverpool City Council and Blackburn with Darwen Council to Lancashire County Council and all its district councils which the agency supported with the roll out of a creative award-winning campaign to encourage energy switching amongst households titled ‘People Power’. Kara continued: “Our experience throughout the team with councils meant we were more than equipped to do a sterling job for South Ribble and we are delighted with their feedback to the magazine which we keep seeing popping up at events and exhibitions we attend too!